Our family loves books. I think I've mentioned that a few times. Last year about this time, I showed you some of the books in our holiday book basket. Our seasonal book basket is such an integral part of moving through the seasons for our family. Although I'll gradually move more winter books into the basket once solstice arrives, Christmas is the only holiday of the year which has it's own separate stack of books. In the last few weeks, I've discovered 2 books which have been added to our holiday book basket which I thought were worth sharing. The prose or rhythm and language of children's books is certainly important to me. I'm actually a bit of a children's book snob. 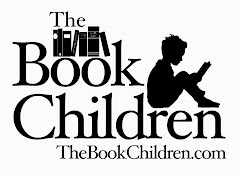 (There are SO many children's books available now, why should we read sub-par ones?) 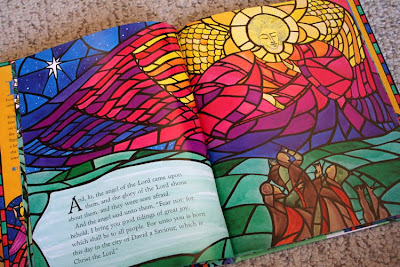 Almost as much as I love a good children's read-aloud, I love good illustrations. My kids tend to agree. (We are an art family, after all!) My 10 and almost 9 year olds still read picture books, more than most kids their age. Therefore, I will occasionally buy children's books simply because the illustrations speak to me, as was the case for both of these books. 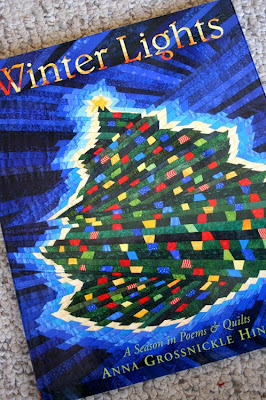 This first book, Winter Lights, by Anna Grossnickle Hines, is illustrated entirely using quilts made by the author. Two of the quilts, including the solstice quilt, used 8,450 triangles and took 400 hours to sew. 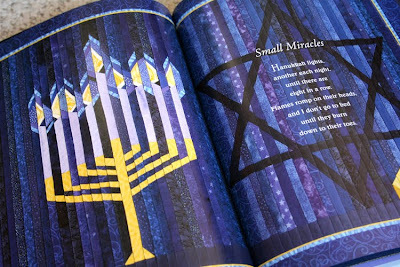 The results are amazing, and I especially appreciate the inclusion of nearly every winter holiday, including Christmas, Solstice, Hanukkah, Kwanzaa, Santa Lucia, with all the illustrations centered around the light of that holiday. 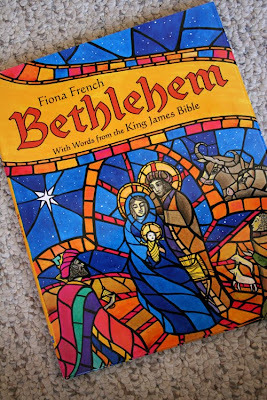 The second book, Bethlehem, by Fiona French, uses text of the Bible (both a Protestant and Catholic version are available) and illustrations based on English cathedral stained glass windows. The illustrations remind me so much of being able to look around those old churches in Europe, St. Paul's in London or St. Peters in Rome. 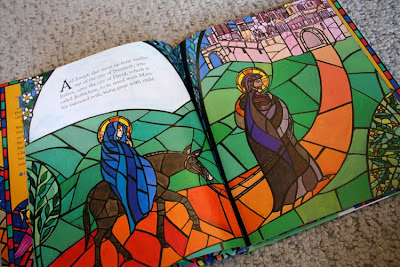 I enjoy being able to introduce my kids to stained glass art, specifically religious stained glass art, using this medium. What holiday books are speaking to you this season? Those are definitely going on my list! Book sharing is one of my favorite parts of blogginess. Those books are stunning! I am going to check on Winter Lights right away! Thank you! 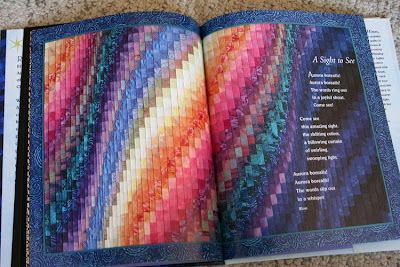 I'm in awe of the quilt book. I can't even imagine...hope the kiddos like it. 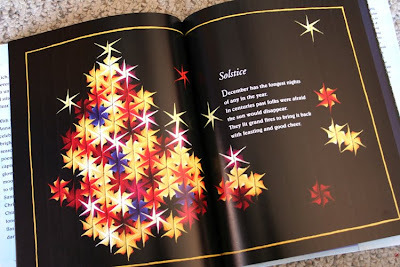 I love that Christmas-quilt book---I'll need to get that! 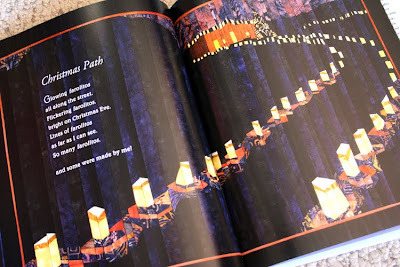 beautiful books, the quilt illustrations are amazing. I wonder how much time that took? those are beautiful! i love holiday books, too. many of ours came as library cast-offs and hand me downs. there is something fun in that, even if i wouldn't have picked them on my own. Those both sound like great books. 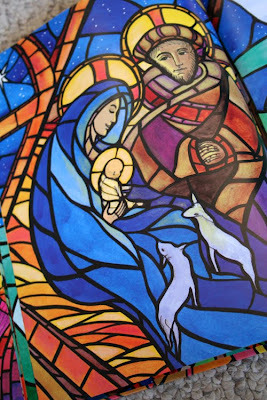 My favorite Christmas book this year is The Christmas Miracle of Jonathan Toomey. The Legend of the Candy Cane and The Christmas Carol.